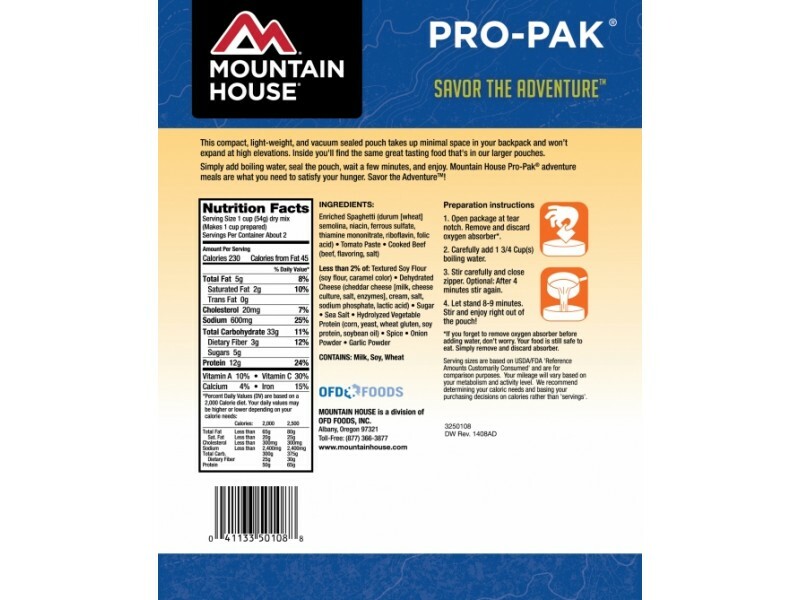 Spaghetti is one of those meals that everyone loves, and this product from Mountain House will be no exception. 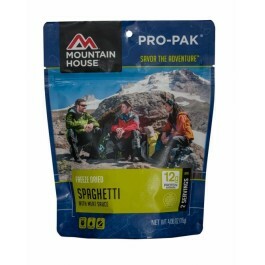 Each pouch contains 4.06 ounces of freeze dried spaghetti with marinara sauce, which rehydrates into 20 ounces after the water has been added. This is a great tasting meal for anyone, no matter what type of situation you’re in. The food comes in a high quality pouch which not only allows for a 10+ year shelf life, but also serves to heat the food within quickly and easily. Stock up on this great meal, which everyone will love. 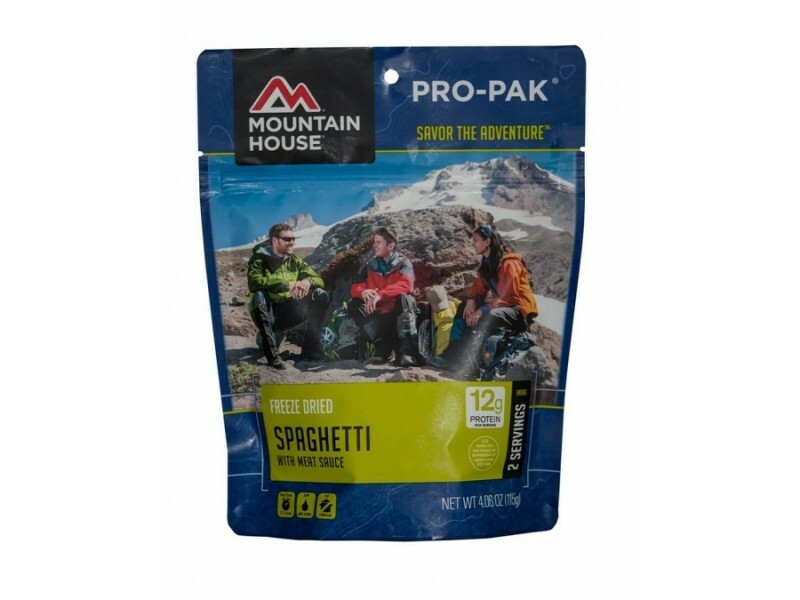 Mountain House has taken the spaghetti that everyone loves, freeze dried it, and packaged it into a great pouch to help ensure it will last a long time on the shelf. In fact, you can store it away for 10+ years without having to worry about it going bad. When you are ready to enjoy this meal, you simply open the pouch and add in the instructed amount of hot water. In about ten minutes the spaghetti will be rehydrated and ready to eat. The pouch also retains heat so it will stay warm long enough to ensure everyone gets as much as they need. Most people buy this product to start or add to an emergency food stockpile. Others, however, will take it with them camping or hiking so they have food available. 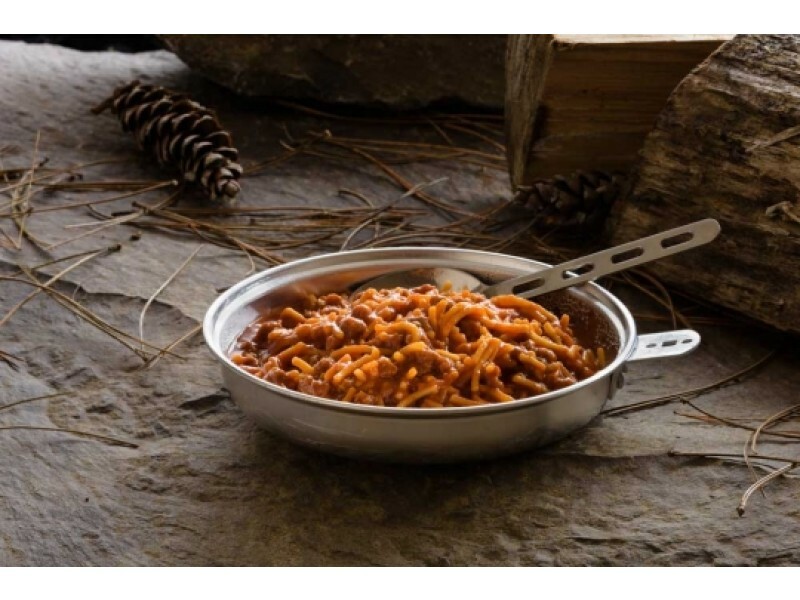 Whether you plan on eating it on the trip, or you are just taking a precaution to ensure you will always have food when you need it, this spaghetti is a perfect purchase. It is extremely affordable, and given the long shelf life, you won’t have to worry about it going bad. Each pouch contains two servings, which provide you with 11 grams of protein each. It also has a variety of other important nutrients that will help keep you feeling full, as well as keep you healthy, no matter what type of situation you’re facing.